Each time I visit the Rahaminov booth at a trade show, I have so much fun playing with their amazing, rare and BIG diamonds. In the past few years, I have noticed that women have taken over most of their team and it has had an impact on their offering and marketing. 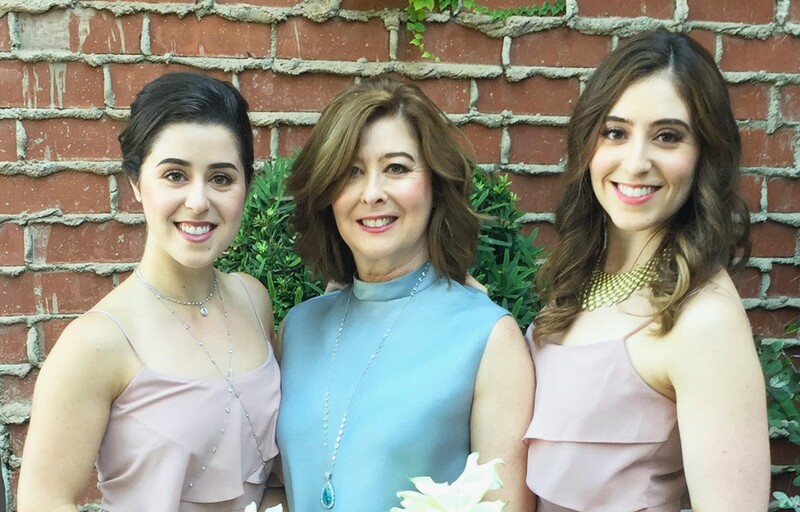 I sat down with Melanie Goldfiner (pictured on the left in the above picture), marketing director and daughter of owners Amir and Tamara to chat about the impact of the Rahaminov women on the business. Fine jewelry businesses created by men are now taken over by new generations with a lot more women involved. Who are the Rahaminov women and what has been their impact on the evolution the company? At Rahaminov Diamonds, we believe that every jewel is as rare as the woman who wears it; a sentiment that stems from the fact that our pieces are designed for women by women. My parents Tamara Rahaminov and Amir Goldfiner met while studying at the Gemological Institute of Americ and opened the Rahaminov Los Angeles office in 1989 (Rahaminov is a 70 year old family owned business which started in Israel) and steadily evolved it from a fine diamond house to a luxury brand of exquisite diamond jewelry. Tamara’s designs have received critical notice, winning numerous awards. Today, a third generation has come on board , with Nicol and myself, bringing their modern sensibilities to the Rahaminov Diamonds brand. Tamara, herself a successful designer, entrepreneur, businesswoman, wife and mother, clearly understands what today’s woman wants to wear – she is that woman. Nicol who also designs for the company is someone who understands the value and appreciates the craftsmanship, but wants something slightly different from her mother when building her own collection. Tamara and Nicol work side by side, developing and designing the brand’s latest offerings. What truly sets Rahaminov Diamonds apart is that every piece of jewelry is tried on and worn before it passes quality control. Keeping within the family affair, I focus on the brand’s sales and marketing. I recognize that the brand needs to evolve to meet the desires of a new generation of consumers, while still remaining true to their brand. You collection of movál engagement rings is breathtaking… Tell us more about the setting designs and some of the secrets behind finding and cutting these amazing stones. The word movál is a decades-old term that was coined as a combination of the words marquise and oval. Tamara Rahaminov Goldfiner’s exclusive collection is inspired by a movál shape diamond set in a 1920’s-era Edwardian ring. The exquisite line of white and fancy color diamonds is comprised of one-of-a-kind designs set in 18K gold or platinum, cut to perfection and to specific proportions to maximize the diamond’s beauty, life and brilliance. 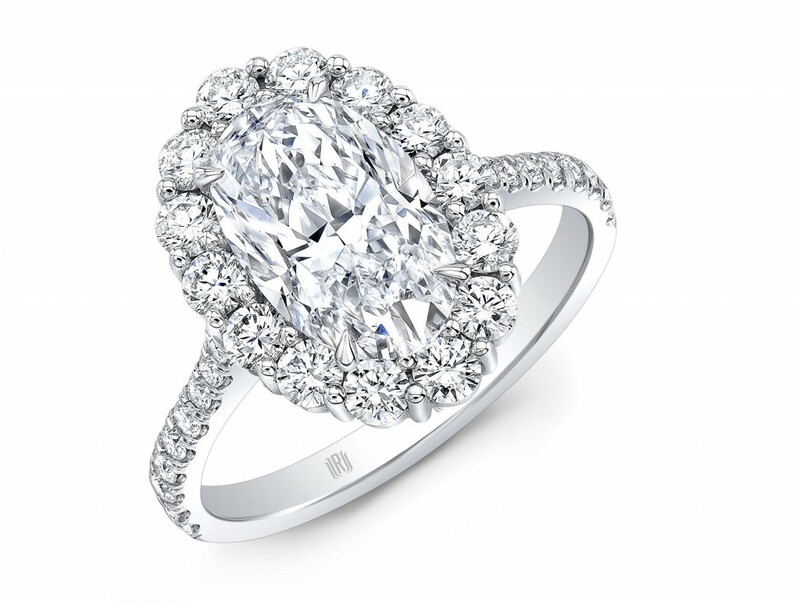 We are taking a very desirable oval shape and adding a modern Rahaminov twist to the diamond. 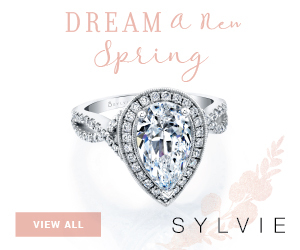 The fact that the oval is elongated makes the stone look more contemporary, yet still very feminine because of the softness of the rounded tip versus the pointy one of a marquise diamond. And here, as with all Rahaminov diamond jewelry, the diamond inspires the design. 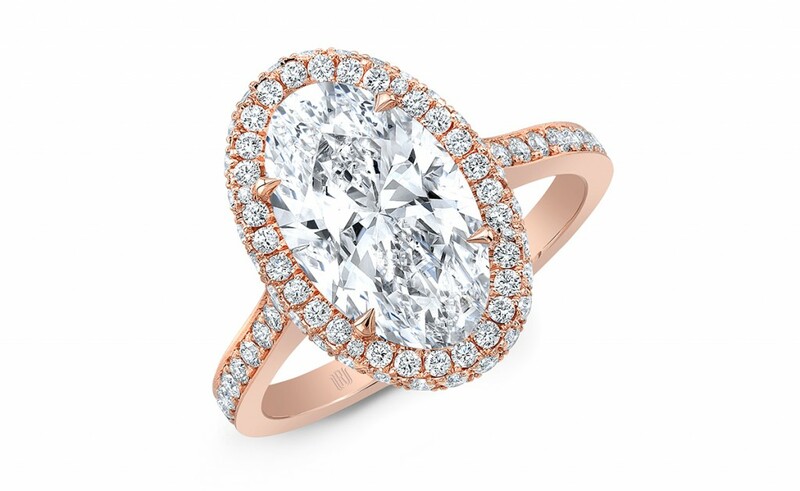 Why have oval diamond centers become so popular? 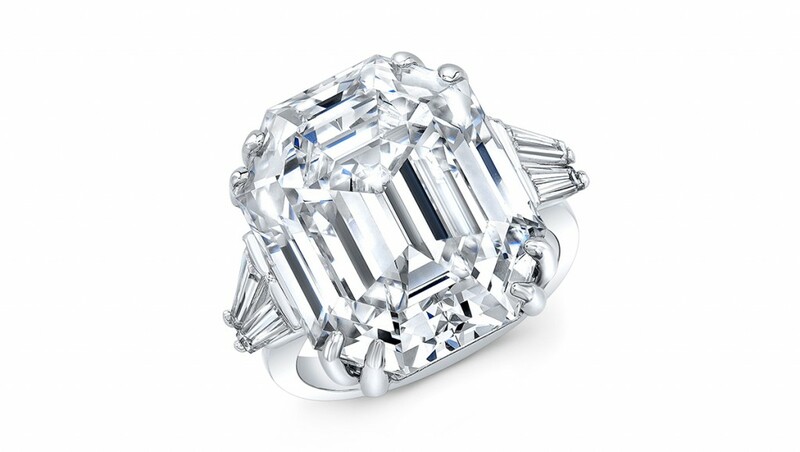 What would be the starting price for a Rahaminov ring featuring a 2 carat oval center? 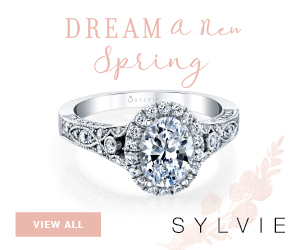 Ovals have become so popular because of their softness and femininity. 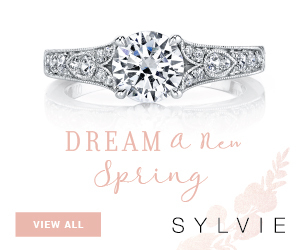 The fact that the oval is also an elongated cut makes it very flattering to the hand. While there are many factors that contribute to a ring’s price, the starting cost for a ring featuring a 2ct center would be $30,000. If you were getting engaged now, which ring of the collection and diamond center would you pick? 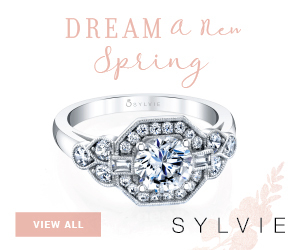 I would definitely pick our oval cluster ring! Such a spectacular look! You have been surrounded with diamonds all your life, what was the first piece of jewelry that bewitched you and when did you know that you would join the industry and the family business? 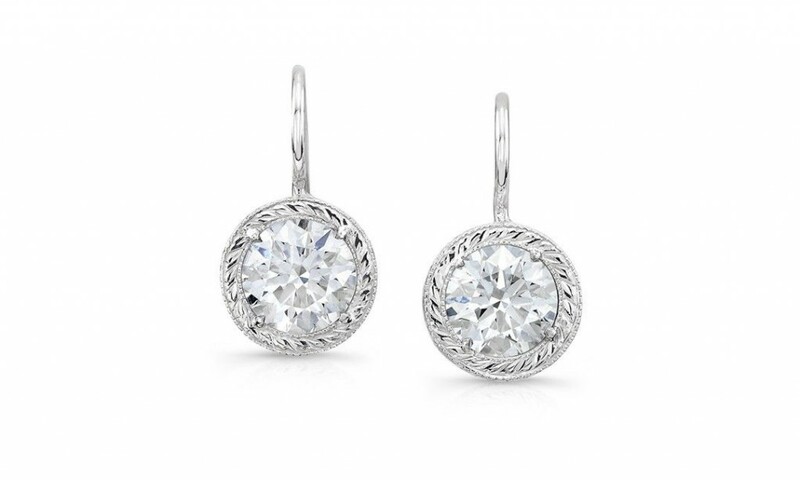 My mom, Tamara, gave me this pair of diamond bezel earrings when I was a teenager. They used to be hers and I still wear them today! I always knew I wanted to feel that crazy passion my parents have for their work. Only after college did I realize that I would join the industry and begin working alongside my parents and my sister. Rahaminov Diamonds’ designs are executed in platinum and 18 karat gold and incorporate classic white and fancy color diamonds. The collections include unusual cuts beyond traditional shapes that are expertly faceted to highlight and enhance each diamond’s basic shape. They do not sell directly to the public but each design is proudly made locally in Los Angeles and is available at select fine jewelers nationwide. Start browsing Rahaminov engagement rings now, you won’t regret it! Severine Ferrari AKA Sev is the editor and writer of this blog and the online magazine Engagement 101. Sev was born and raised in Paris and has lived in New York City for over 20 years. Her blogging style still includes elements of her French writing style and humor. We recommend reading it with a glass of champagne and a French accent.